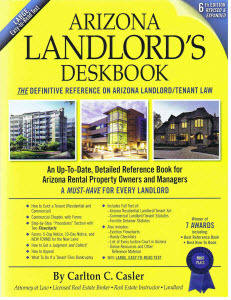 Arizona Landlord Tenant Blog: Forms - What forms do I need and where to I get them (residential)? Forms - What forms do I need and where to I get them (residential)? for you, the landlord, by an attorney who is experienced in this area. Information Sheet are also important forms because they are used every time you sign up a new tenant and because of the information they capture. Because of the potential consequences to children, the pool safety notice and the lead-based paint disclosure form are also very important.